KLM (Koninklijke Luchtvaart Maatschappij) is headquartered on the grounds of Amstelveen, near its hub in Amsterdam Airport. 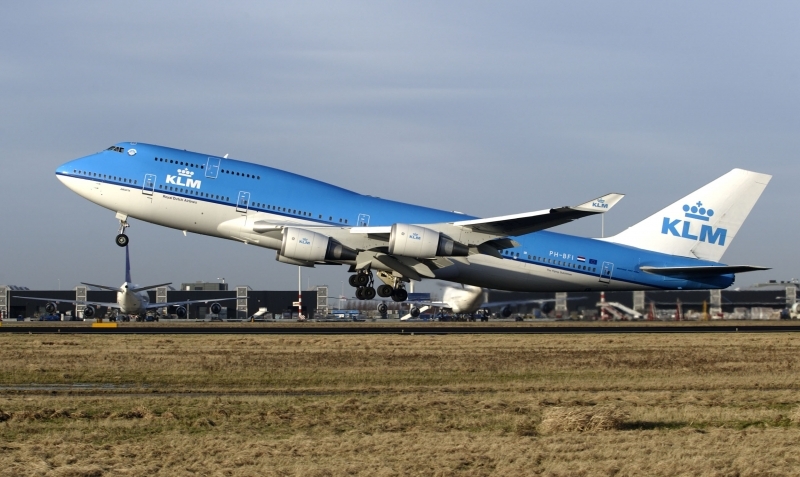 It is the flag carrier of the Netherlands. KLM operates worldwide passenger and cargo services to more than 90 destinations. It is also the oldest airline in the world still operating under its original name. The merger of KLM with Air France in 2004, created Air France-KLM and is part of the Sky Team Alliance. The rules for pet transportation vary depending on your country and destination. On some aircrafts and certain destinations, pets my be restricted or limited. Pets may travel in the cabin, baggage, or be transported as cargo depending on size and destination. Special rules apply for service animals that are trained to assist passengers with disabilities or rescue teams. Your pet must travel in a container that is ventilated. During the flight your pet cannot be taken out of its carrier. Health certificates and travel documents must be presented before flights. Certain destinations may have a quarantine period, consult the embassy before booking your flight of your final destination. You must register your pet in advance of your flight by contacting KLM at least 48 hours in advance. If you don’t register your pet ahead of time, your pet will not be permitted on the flight. Dogs and cats must be older than 15 weeks and have proof of required vaccinations to travel. Dogs and cats weighing less than 18 lbs including the weight of the carrier. Cases must not exceed 46 (length) x 28 (width) x 24 (height) in centimeters. Pet must be able to stand up and lie down comfortably. Pets that exceed 18 lbs may travel in the hold, or baggage area. Carriers must comply with IATA rules. Total weight of pet and carrier must not exceed 165 lbs. Pets cannot be put in hold of Fokker airplanes between November 1 and March 31 because it can’t be heated. English and French bulldogs, Boston terriers and pugs cannot travel in the hold or as cargo.